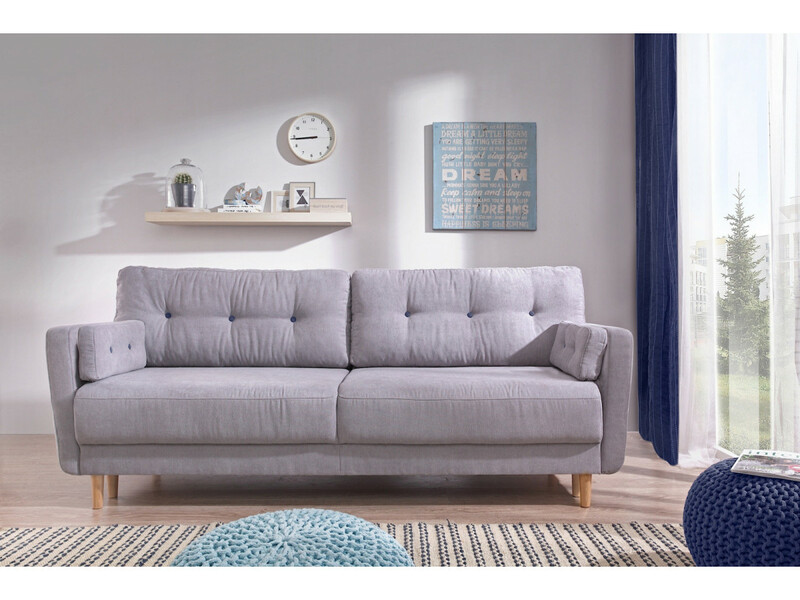 Mixture of scandinavian style and retro, the collection COPENHAGEN will make your room a haven of peace. 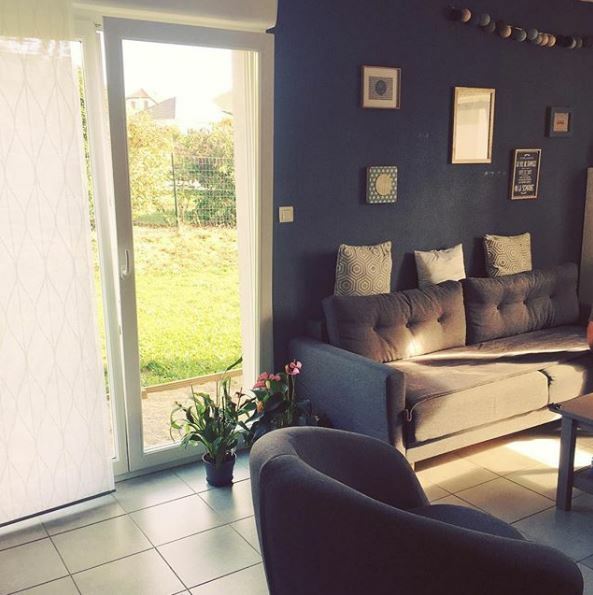 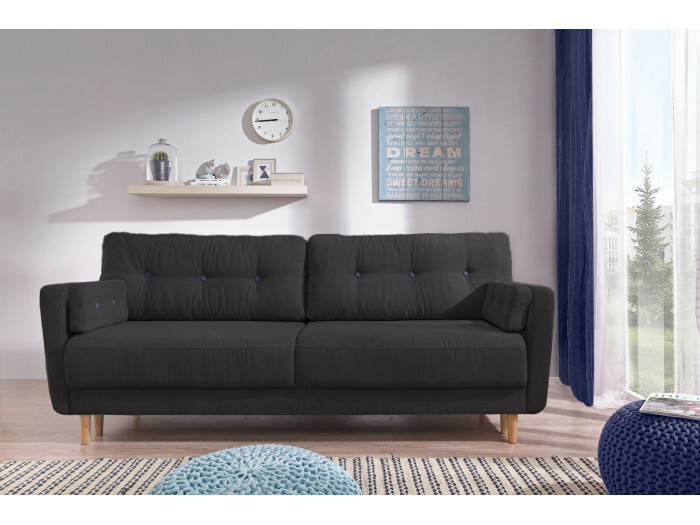 You will notice the buttons of the cushions slightly contrasted to give even more character to the sofa. 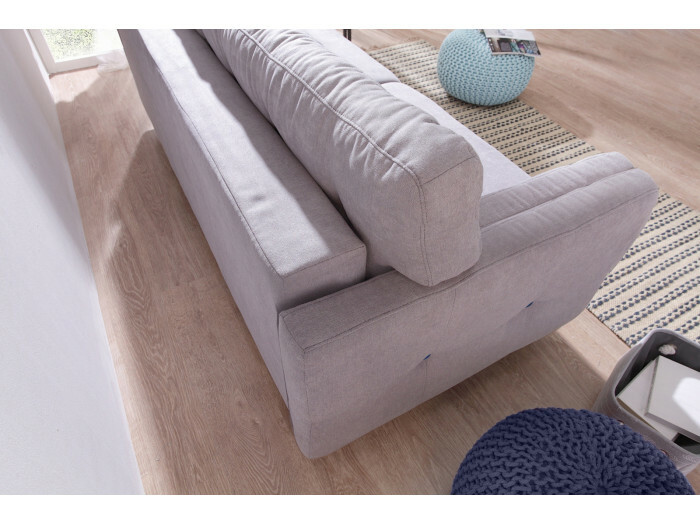 The couch right convertible safety COPENHAGEN is a perfect match to your interior. 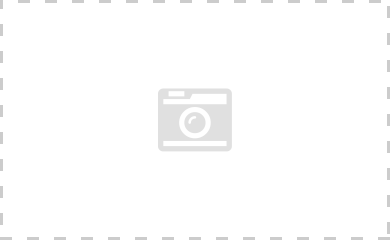 In practice, it will convert into a bed as soon as you feel the need. 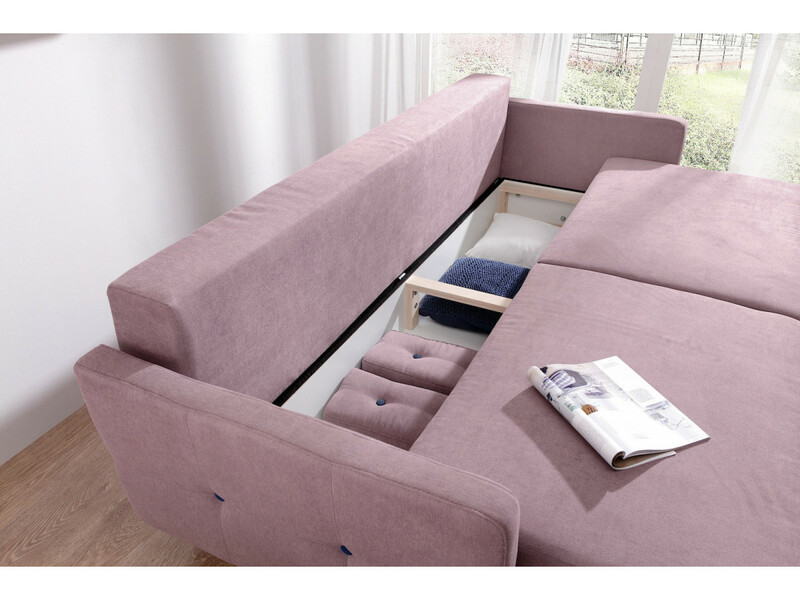 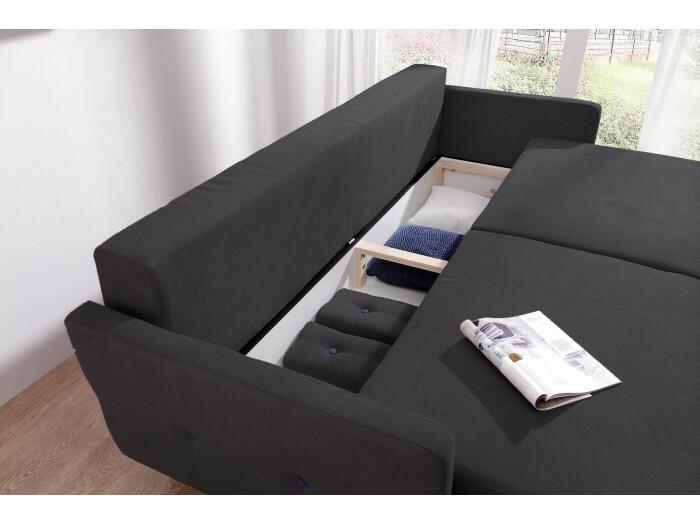 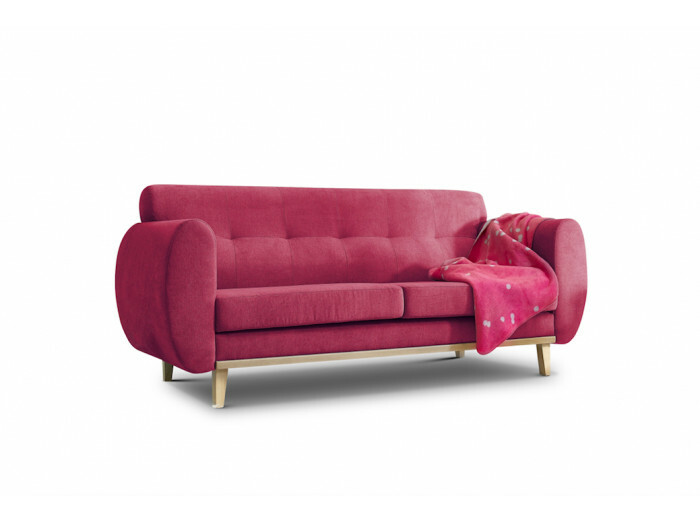 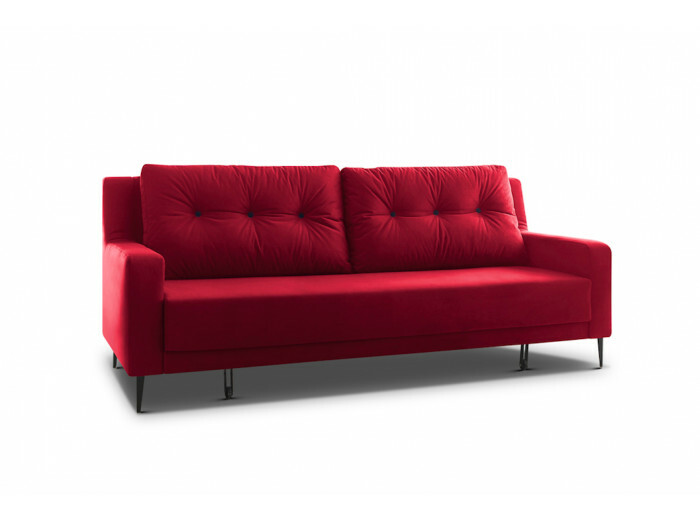 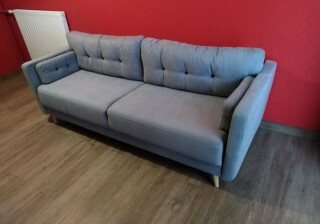 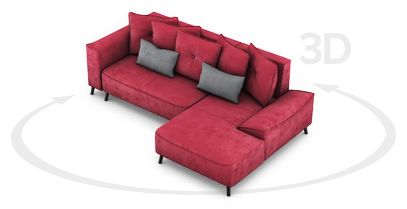 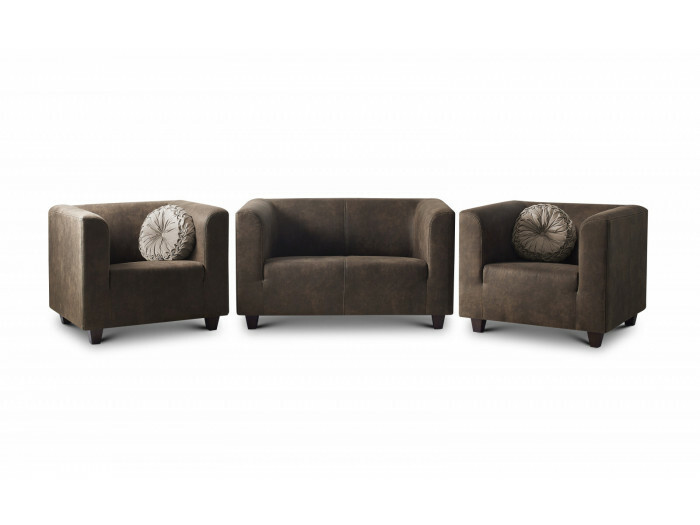 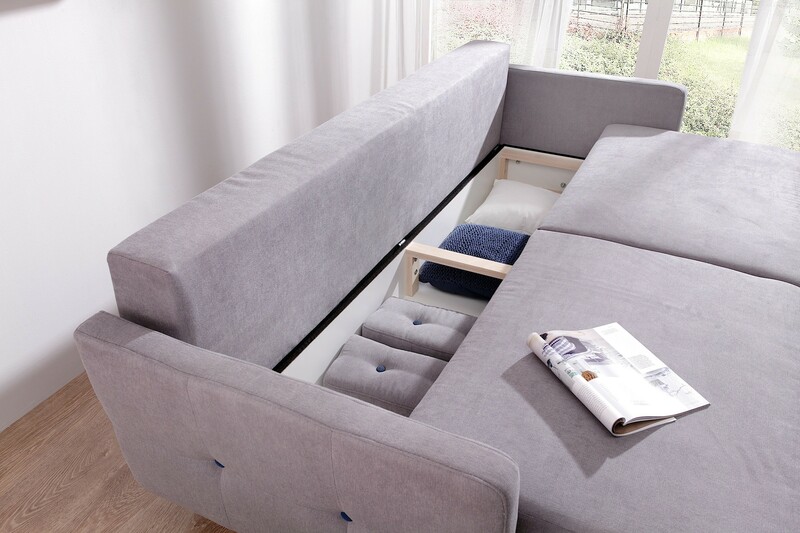 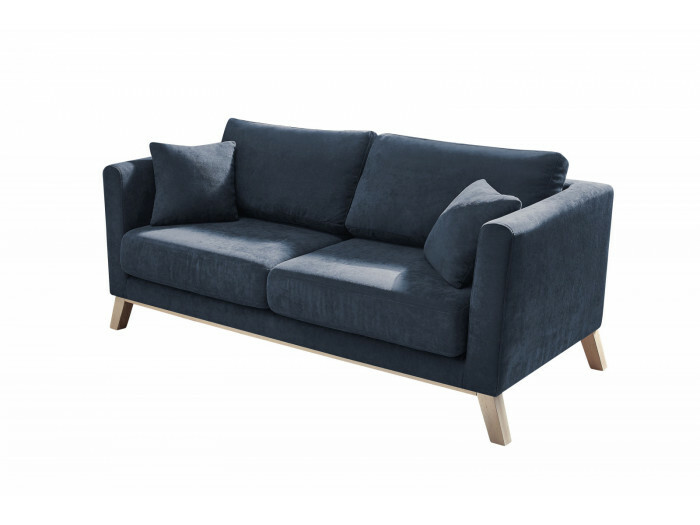 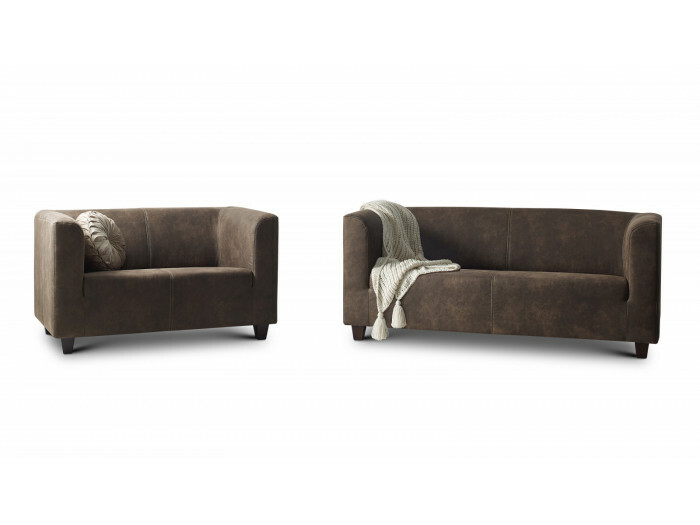 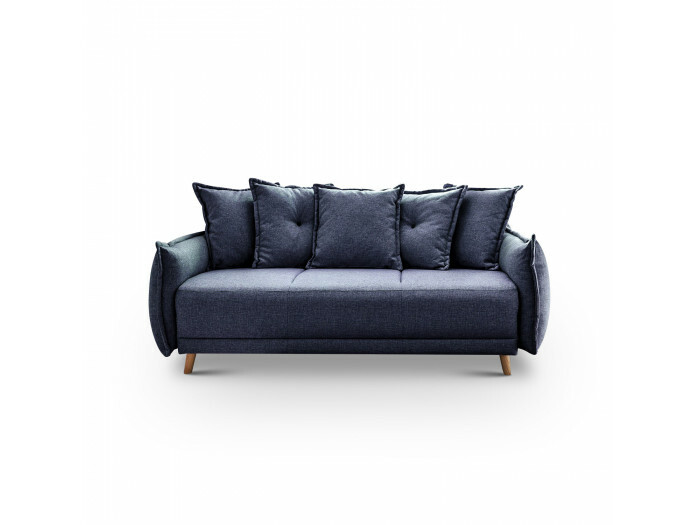 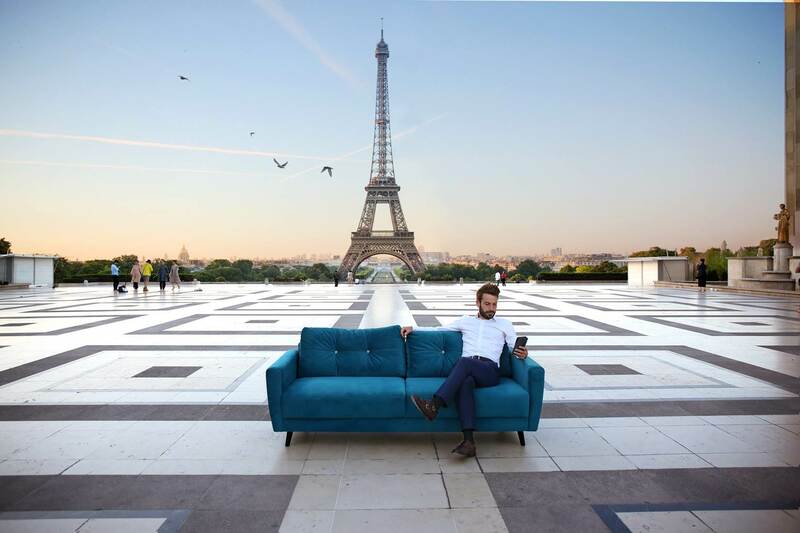 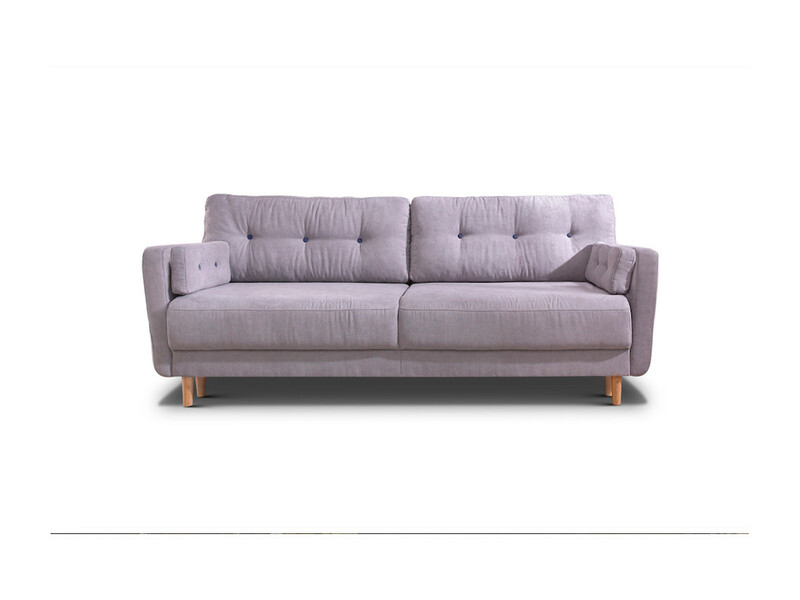 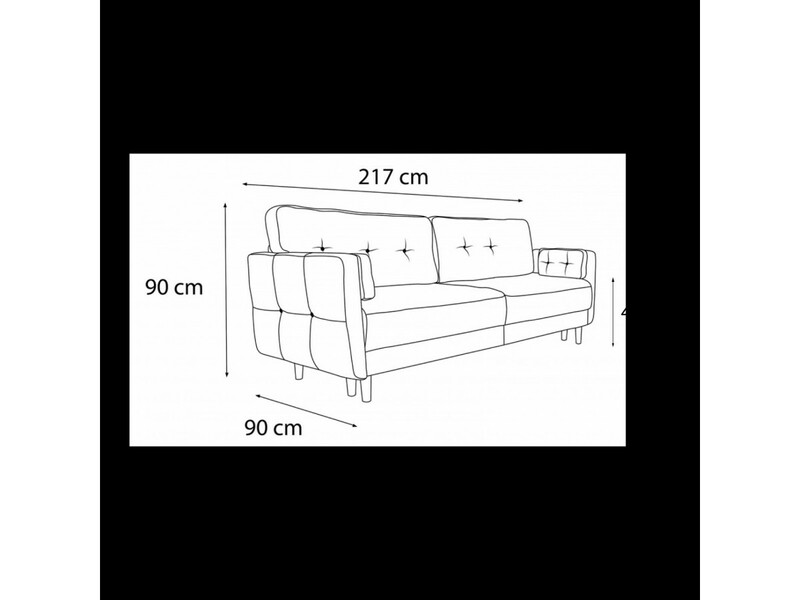 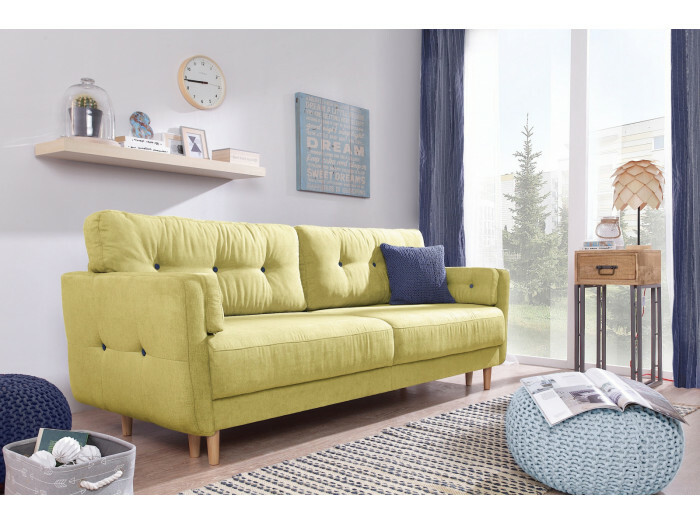 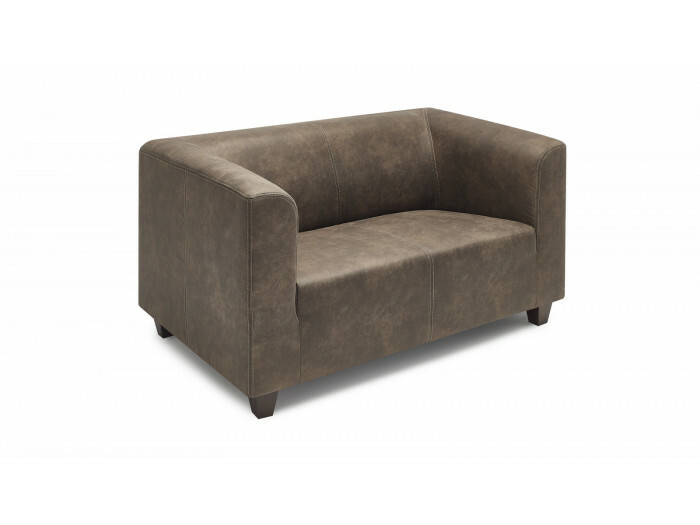 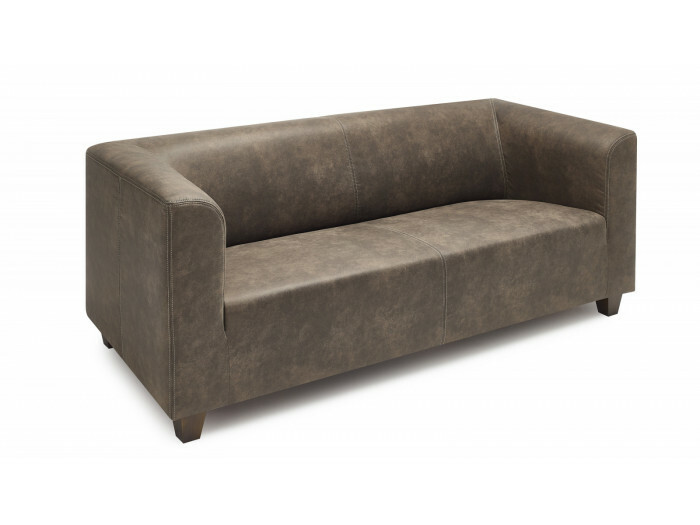 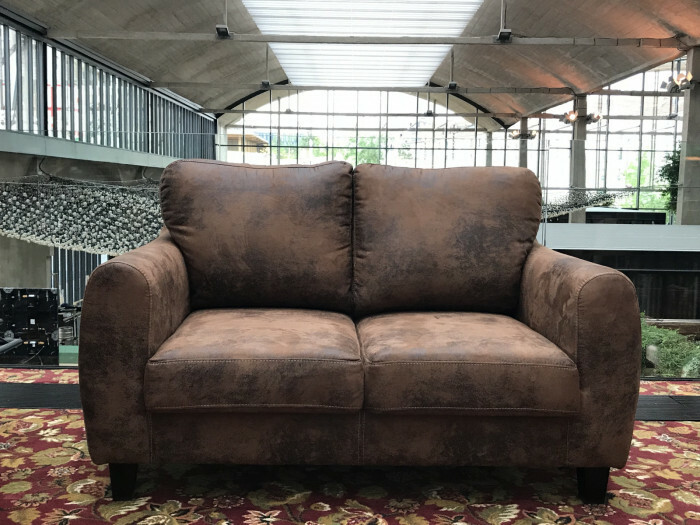 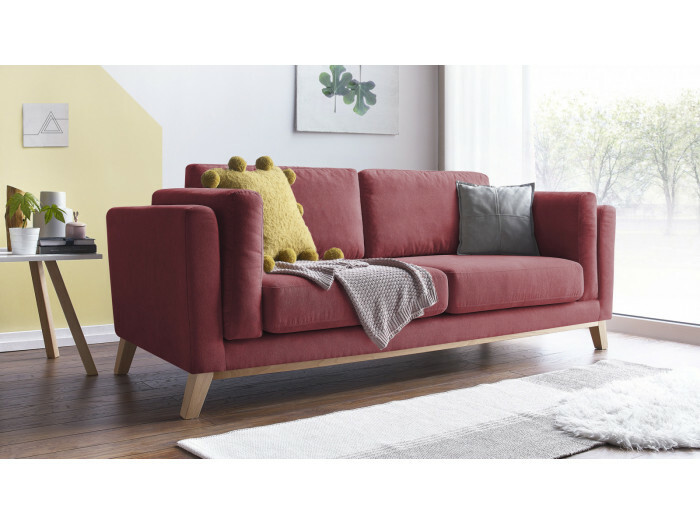 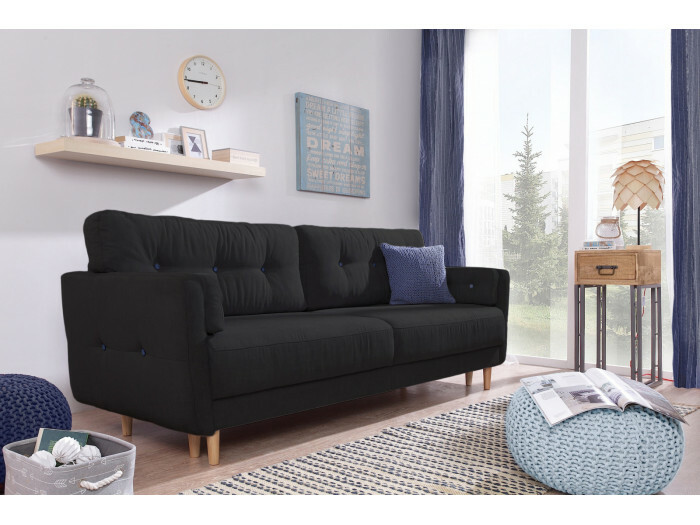 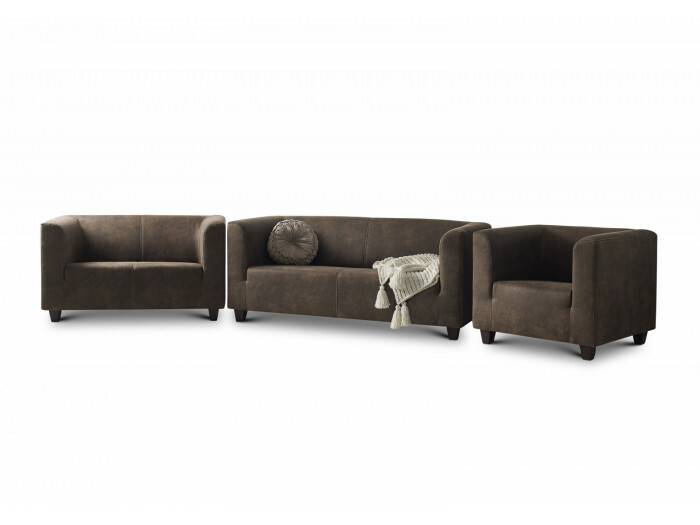 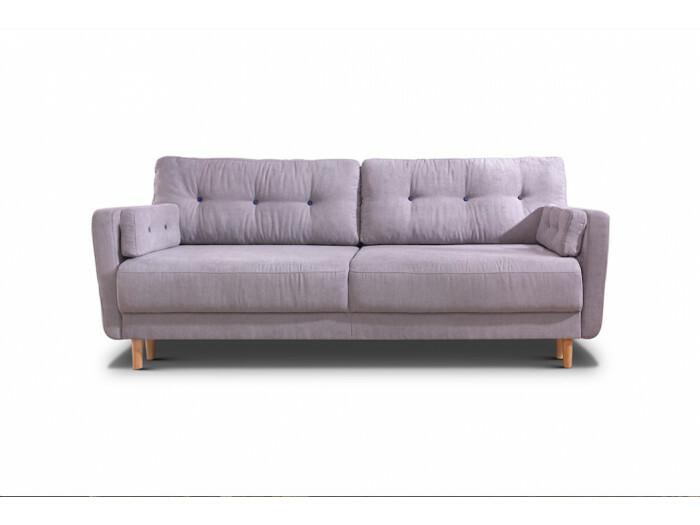 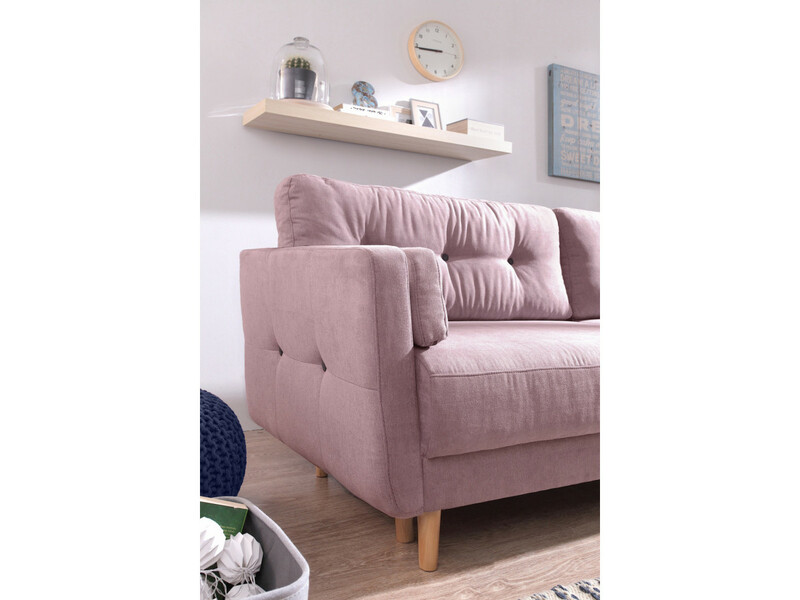 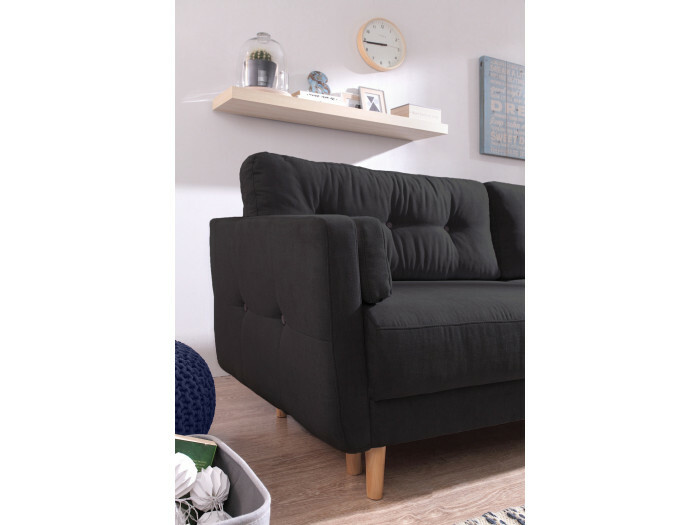 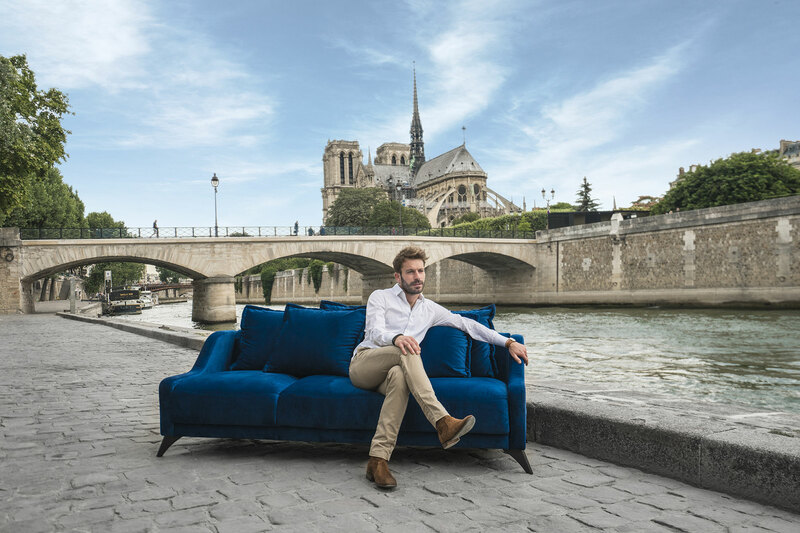 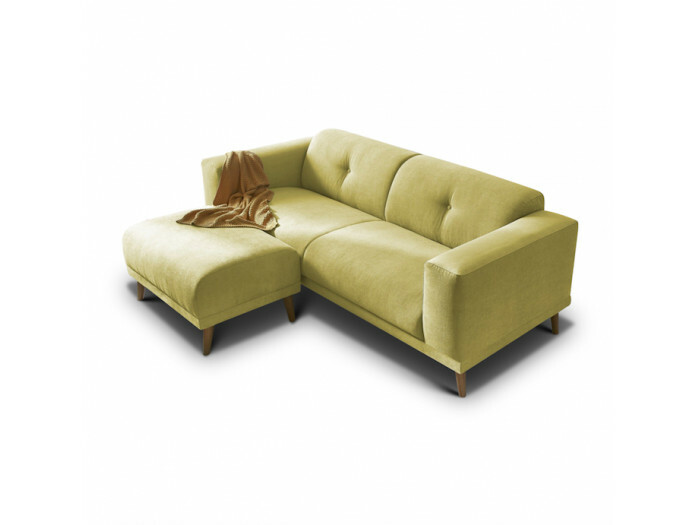 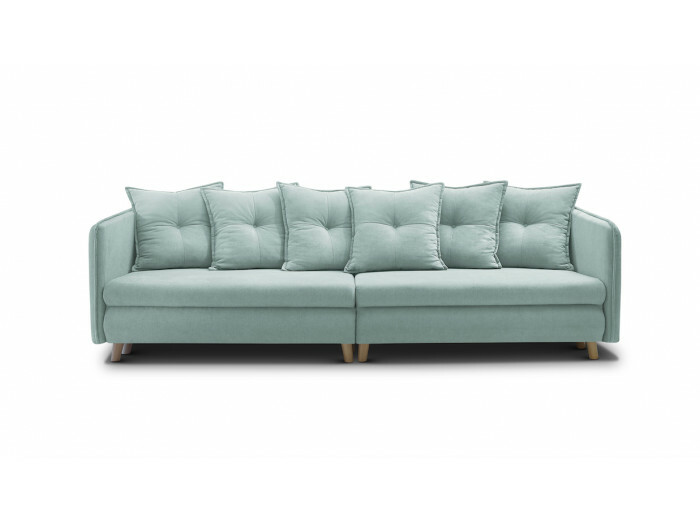 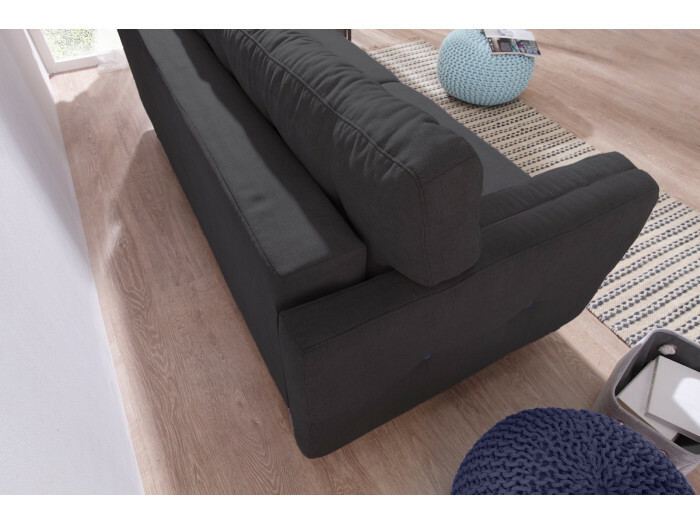 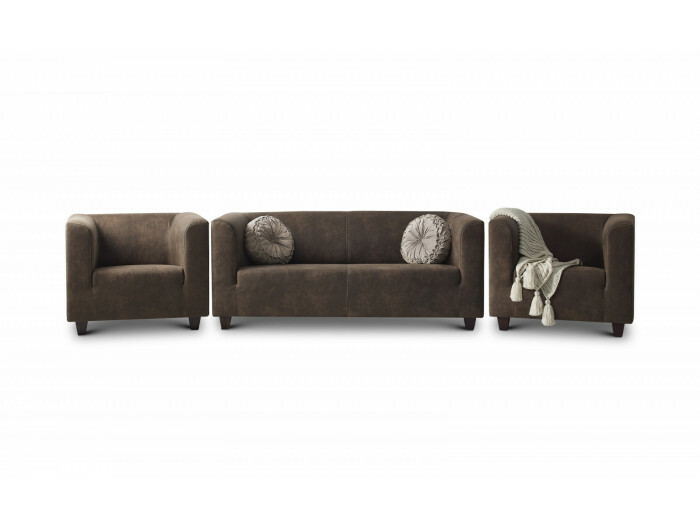 The sofa convertible with storage COPENHAGEN provides a maximum of confort thanks to its thick seats. 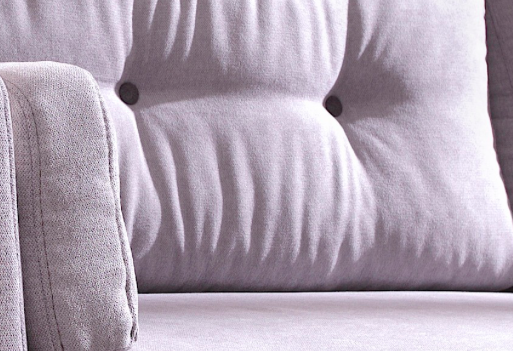 The small cushions on the armrest promise you long relaxation nights. Furthermore, the solid wood legs give a decorative touch.